Over the past decade, technological innovations have transformed most industries, including healthcare. From medical devices to software, digital technology is revolutionizing the way healthcare is delivered – in hospitals, in communities, and in your home. In the Nordic countries, the healthcare business is ahead of the curve when it comes to IT adoption. Now, connectivity, collaboration and getting the best possible value out of healthcare data is the eHealth challenge. One of the largest digital health trends in the Nordics is solving this eHealth challenge through the implementation of a connected healthcare system, often visualized as a ‘one patient, one record’ solution. The goal of these initiatives, which is shared by most people working within the healthcare domain, is to provide a universally accessible patient record that would allow clinicians to make accurate decisions at the point of care. However, translating this vision into the practice of having all healthcare personnel use the exact same application for all tasks, vastly underestimates the complexity of the healthcare system. All EHR systems are not created equal for a reason, and the type of electronic health information system a healthcare provider uses at the point of care will have a significant impact on patient outcomes, clinician productivity, and health innovation. Many of the stakeholders and decision makers within the healthcare system are working to solve the eHealth challenge by purchasing and implementing one “BIG EHR” or “one-size-fits-all” system. These systems are created by one vendor, and often delivered and supported by the same vendor. While these systems deliver on having a single location for information gathering and storing, they do not assist healthcare providers with critical and dedicated processes for that particular medical domain (such as workflow optimization, productivity, data analysis, or decision making) that are integral to improving patient outcomes and reducing health system costs. There is, however, a second and complementary approach to solve the eHealth challenge and achieve the vision of a connected healthcare system. This approach is based on a strategic versatile solution architecture that embraces specialized solutions which are developed in coordination with healthcare providers. These systems mimic how clinicians think and work, making them more user-friendly and effective. They offer both common access to a patient’s medical information, as well as optimized workflow which can assist clinicians with analyzing data and making decisions. 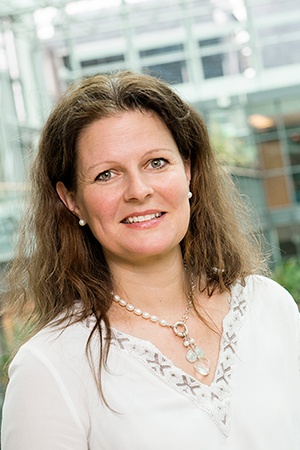 Cathrine Lofthus, CEO of South-Eastern Norway Regional Health Authority. While the goal of the large, generic approach is to have every medical discipline working within the same process or workflow, the goal of the specialized solutions approach is to develop and continuously update the solution to meet the ongoing needs within each medical specialty. 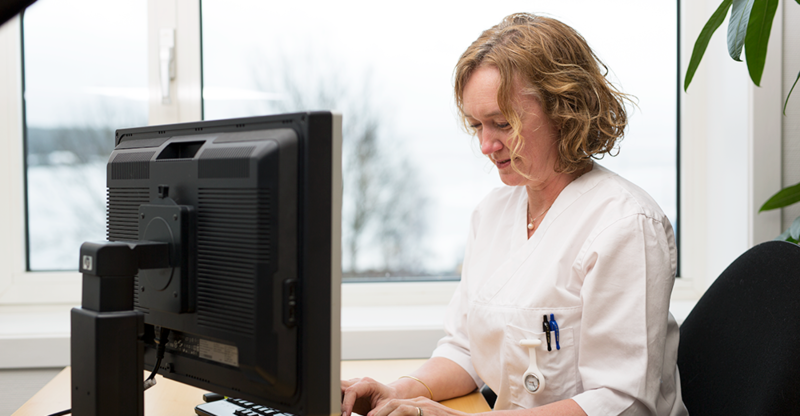 – There is no debate that hospitals require a common electronic medical record to provide universal and standardized access to all of a patient’s relevant clinical information, said Cathrine Lofthus, CEO of South-Eastern Norway Regional Health Authority. – However, specialists also need to use these electronic records to access critical detailed workflow solutions relevant to their medical discipline. – The future of healthcare relies on continued innovation in several diverse medical disciplines, which cannot be achieved by the ‘one solution from one vendor’ model,‘ she added. Utilizing a generic system from one vendor to support all of the specialized tasks may not address some fundamental clinical needs. A one-vendor-only approach is inefficient at best, and slows the pace of innovation. Because one vendor alone can never be the expert on all areas, it is likely that many important clinical needs are not met. Ultimately this leads to lower clinician productivity and reduced patient outcomes. Specialized solutions often fulfill unmet clinical or functional needs that are not being addressed by the core hospital data system. Because they are driven by clinician need, they can offer flexible, innovative solutions to very real problems that might otherwise be too costly or even impossible for a one vendor system to develop and implement. CSAM’s eHealth maternity solutions provide a real-world example of how specialized solutions can meet the needs of a specific department or medical discipline, helping clinicians deliver safe and effective care for their patients. 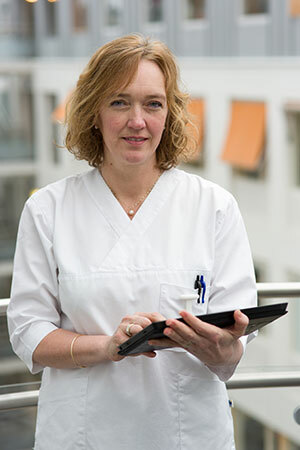 – Our maternity solutions are developed and continuously updated in cooperation with midwifes, nurses and doctors to meet their ongoing needs, said nurse and product manager Lilly Angermo. – Each component of the system is designed to ensure a safe pregnancy and birth for every mother and child, she continues. – The strength of our specialized solutions comes from its usability – we dive deep into each detailed workflow while at the same time making the system easily integrate within the core hospital information system, said Angermo. Today, hospitals and healthcare providers have a unique opportunity to transform their current healthcare businesses by implementing dedicated applications for dedicated workflow processes. Embracing specialized digital solutions can help hospitals and healthcare providers improve coordination of care, clinician productivity, and patient outcomes, all while reducing costs.